Few problems in Sunday School are as frustrating as having to deal with disruptive children. One repeat offender can ruin even the best lesson plan and ultimately drive away both teachers and others students. To be clear, in this article we are not talking about special needs children or the occasionally rambunctious rascal, though all of the following strategies will help with them too. The updated version has a handy printable PDF of the article for you, as well as additional notes and helps. Below is an older version of the article. Intentionally not following instructions or rules. Showing disrespect for classroom activities, property, and people. They may be the class clown or a clique creator, the bully or quiet instigator, the kid no one likes, or the kid everyone looks up to. As we consulted resources, interviewed Christian educators, and searched our own experiences, three key strategies rose to the top for dealing with difficult children in Sunday School. Key #1: Form a friendly relationship with your difficult student outside of class, and before and after. Once they feel part of your team, many will play like a teammate instead of the opposition. And you will also gain insights into what is making your student difficult. Key #2: Be loving but firm --giving clear directions, options, consequences, and positive reinforcement. (More on this in a moment.) The worst thing you can do is be sarcastic or angry. The second worse is doing nothing. How we treat others, including disruptors, is part of our curriculum. It's an opportunity to model Christ-like behavior to both the disruptor and the eager eyes and listening ears of our other students. Key #3: Have a helper present to catch problems before they become disruptions, and to step-in to deal with disruptors so that the teacher can continue teaching the other children. These days, churches should have a “two adult” policy, so it’s only a matter of making sure both leaders know how to use positive discipline. **Helpers should see their role as one that is especially directed toward the well-being and participation of each student --and especially those who need extra care. They should be able to spot problems early, move in a gentle and positive manner, and if needed, quietly pull the difficult student aside for some loving intervention. Chronic disobedience can have many roots: unresolved anger, low self-esteem, family troubles, poor impulse control, diagnosed or undiagnosed learning problems, ADHD, anxiety issues, attention-seeking, and even depression. But not all chronically difficult children have these problems. They may just have poor examples set for them at home or at school. They may simply be the extroverted kid who lacks self-control, a verbal filter, or a volume knob. Some are emotionally immature for their age or are going through early puberty. For many its a phase, and for some it's a personality trait. Unfortunately, some adults make the mistake of taking disobedience personally, and that can create animosity and over-reaction. Spending time trying to understand the source of a child's difficulties will help you see them as Christ sees them, with compassion. And it will give you insights into how you can meet their unmet needs and discipline them appropriately. You are reading an older version of the article. Sometimes, the difference between a child's obedience and disobedience is something we as teachers can control. Un-engaging lessons and lack-luster teaching can trigger a difficult child's desire to show their disapproval, as well as, fail to hold their attention. This is especially true if they lack attention-skills and verbal filters. Un-prepared teachers and those who fumble with materials or an activity can create openings that some disruptors seek to fill. A sense of chaos can send the wrong signal that "anything goes." Teachers who are unaware of a child's issues and needs can mistakenly discipline in a way that is inappropriate for the child, and accidentally escalate it. Teachers who have poor discipline skills or lax discipline often get exactly what they don't want. We all know them --the teacher who lets their kids get away with everything, and the teacher who's always barking at their kids. To the chronically difficult child, poor discipline is as bad as none. In addition to the three keys described above (establish a relationship, be firm and loving, and have help in the classroom), there are a number of "tried and true" practices that can help students avoid their triggers or turn problems into solutions before things get out of hand. Preparation: Unprepared teachers often lead to lessons and kids who fall apart. Arrival: Some difficult students children "need something to do" when they arrive, not only to keep them focused, but to feel part of the team. Proximity: Most difficult children do better when they are closer to the teacher or helper. Move in a non-threatening manner. Problem-solve instead of punish or argue: Initial discipline is best delivered calmly and with clear directions. "John, I can see you're in a good mood today, but I really need you to focus on...."
Humor and Re-direct: Humor, not sarcasm, combined with Re-direction can interrupt disruptive behavior before it gets out of hand. For example, instead of simply asking them to "pay attention" for the tenth time, you might say the second time, "John, you're as jumpy as a frog today, would you mind jumping over to get us..." (handouts, Bibles, glue, popcorn, whatever). Be a fount of positive reinforcement: Many disruptors are seeking affirmation, so give it to them. Develop a kid-friendly code of behavior: These are sometimes called “Classroom Commandments” (with “do” as well as “don’t” statements) and invite every student to sign it. Some kids just need more reminders than others. Identify and Share: Talk to other teachers, leaders, and the child's parents to gain insights and find out what has worked for them. And last but not least: PRAY for your difficult student and for yourself. Raising up children in the way they should go is NOT easy, and you are not alone. Do you have others discipline tips that work for you? Post them below. If disruptions continue, you should follow up with the child's parent(s) to alert them to the problem, and discover if there are “other things” you should know or be concerned about. Just be careful not to trigger a punishment from the parent, or the parent's embarrassment or anger. Be sure to let your leader know you are going to talk with a parent. Make sure the parents see you encouraging their child. Invite the parent to assist in class from time to time. Do some problem solving with them. Suggest other opportunities that the child and their parent can do together as a break from Sunday School. This can include, helping prepare for worship or the setting the fellowship table. If things remain unresolved, or you are increasingly concerned for the child's welfare, involve the pastor or Christian educator who (should) have training in counseling and conflict resolution. Great article! I have one more suggestion - when planning lessons, plan them around the child who is disruptive. Try to make adaptations in the lesson plans ahead of time by anticipating that child's reactions, behaviors, etc. It can really make the lessons run smoother. We found this good 17-minute video from Jenny Funderburke on YouTube titled, "Stopping Problem Behavior Before it Starts in Kids Ministry." It even discusses children's learning "style" needs. A helpful online article from The Penn. State Sunday School Association, written especially for churches that have a Sunday School that reaches the unchurched. http://geiendorsed.com/blog/le...disruptive-students/ A good short article. Stick with your disruptive child! Knowing they’ve found someone that won’t give up on them can be a game changer. Develop a set of non-verbal signals with the child to communicate gently when you see a pattern of disruptive or distracting behaviors. It will help them control their impulse. A free article at ConsciousDiscipline.com. Look at Conscious Discipline.com, an online training discipline service. 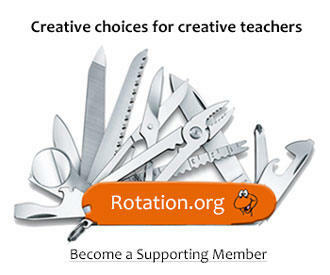 This site features a number of free and not free resources. Our blogger Heidi has taken one of their courses on Discipline and recommends it. "Trauma Informed, Evidence-Based and Research-Backed Social and Emotional Learning Best Practices."